Arsenal confirm Gabriel Paulista BBC confirmed that the fee has been agreed between both the sides Arsenal and Villarreal for the defender Gabriel Paulista. BBC confirmed that the fee has been agreed between both the sides Arsenal and Villarreal for the defender Gabriel Paulista. Gabriel Paulista who has been in link with the Gunners is now set to finalize his deal as reports claimed earlier today that he will be moving to London in the next few days for a medical. BBC published that the principle deal of £15million has been agreed for the 24-year-old centre-back. However, the London side will now only have to solve the work permit issue before finalizing the Brazilian move. The deal would include a loan move of Arsenal striker Joel Campbell. The Costa Rican will be out for the rest of the season on loan with the La Liga club. 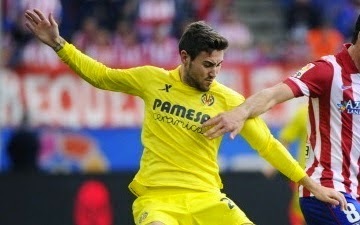 Villarreal also confirmed the deal yesterday on Twitter before their game against Levante at El Madrigal. Campbell was also linked with a loan move this month, however Wenger denied earlier but now allowed him to get some regular time. The 22-year-old played a great role for Costa Rica in the World Cup last summer. He helped them to reach the quarter-finals.